Twitter is enabling users to now tweet their political donations. Twitter is full of people spouting their political views. Now it can let them make political donations as well. Twitter announced Tuesday it is partnering with electronic payment service Square to enable anyone in the U.S. to make a donation directly to political candidates or causes through a tweet. "This is the fastest, easiest way to make an online donation, and the most effective way for campaigns to execute tailored digital fundraising, in real time, on the platform where Americans are already talking about the 2016 election," Twitter (TWTR) said. Candidates need to first sign up for an account through Square Cash. 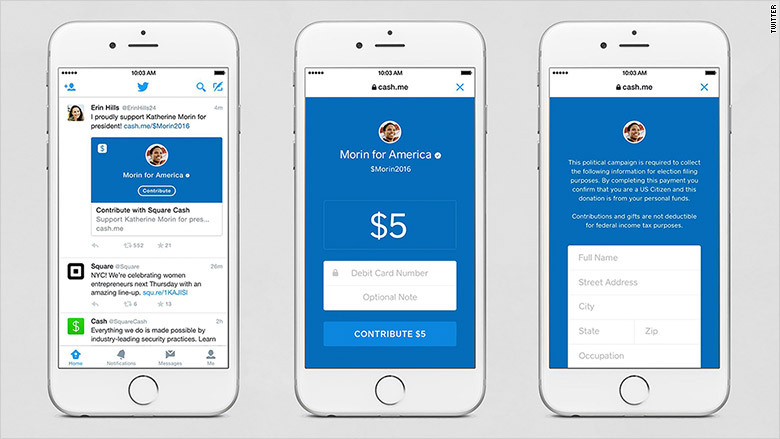 Once a campaign has been verified by Square, it can tweet a unique URL or $Cashtag to supporters asking for donations. The tweet will include an image with a "contribute" button imbedded in it. 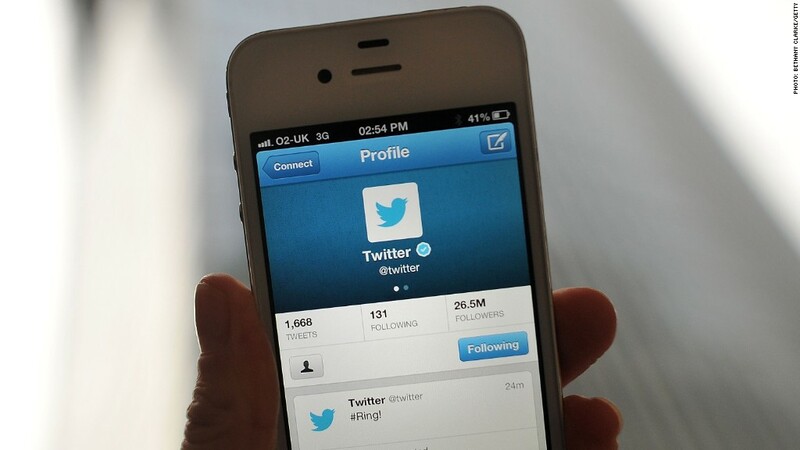 The interim CEO of Twitter, co-founder Jack Dorsey, is also the chief executive of Square. Candidates wasted little time soliciting donations.